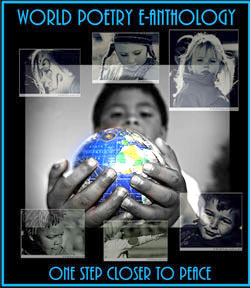 World Poetry Celebrates Celebrated Author Joy Kogawa! Ariadne’s Notes! On the World Poetry Café Radio Show, CFRO 100.5 FM March 21 was so honoured to have the acclaimed and talented author Joy Kogawa calling in from Toronto, Ontario, Canada to promote her latest adventure, East of the Rockies and offer words of wisdom for the people of the world. Her new AR apt sounds wonderful , giving reality to the lost or hidden stories of the families of those in Japanese internment in WWII. East of the Rockies, an augmented reality (AR) story by Vancouver-born, acclaimed author Joy Kogawa, produced by Jam3 and the National Film Board of Canada, launches in the App Store today. Acclaimed Canadian author Joy Kogawa, Toronto-based design and experience agency Jam3 and the National Film Board of Canada have unveiled East of the Rockies, an interactive augmented reality (AR) app based on true events about life in one of Canada’s Japanese internment camps. East of the Rockies’ AR narrative follows 17-year-old Yuki as her family adjusts to life in a Japanese internment camp during WWII. The story takes inspiration from Kogawa’s novels Obasan and Itsuka, which chronicle the persecution of Japanese citizens in Canada during the war. After activating the AR mode, app users can interact with Yuki’s story by tapping, inspecting and zooming in on key elements inside the Slocan Internment Camp. Each of these elements activates a scripted narrative spoken by Yuki, illuminating different aspects of the camp. East of the Rockies is a fully animated and voiced narrative, with Kogawa’s granddaughter Anne Canute providing the voice of Yuki. Students will also have the opportunity to take a more in-depth look at East of the Rockies with a high-school learning kit. The NFB Education kit poses questions and scenarios to help students understand and go deeper into the experience of life in the Slocan Internment Camp. The learning kit is available at eastoftherockies.com. The AR features in East of the Rockies leverage Apple’s ARKit framework, bringing immersive visuals and a dynamic way to learn about an important moment in history. The experience is exclusive to iPhone and iPad running iOS 12, including iPhone 6s and newer, iPad (5th generation) and all iPad Pro models. East of the Rockies is available on the App Store beginning March 1, 2019. The app will be free to download in the first week, from March 1-8. Jam3 is a design and experience agency known for smart, innovative and inspired work. We work closely with our clients to understand their problems and solve them in creative ways. From our offices in Toronto, Los Angeles and Montevideo, we team up with forward-thinking brands from around the world. Our partners include Google, Spotify, Microsoft, Adidas, Facebook, Ford, Sephora, MTV and Disney Pixar. Modesty aside, our diverse work has received global recognition from Cannes to The One Show, and even the Pulitzer Prize. To learn more, visit us at Jam3.com. Source and with thanks to Katja De Bock. This entry was posted in Ariadne's Notes, E-Poets, Featured musicians and artists., Featured Poets, General and tagged Author Sharon Rowe, CFRO 100.5 FM, International Peace Award Ariadne Sawyer, Jam3, Joy Kogawa, Katja De Bock, NFB, Victor Schwartzman on March 27, 2019 by Ariadne.